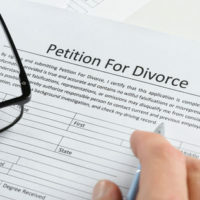 After it skyrocketed in the wake of the early 1970s no-fault divorce revolution, the divorce rate has declined 16 percent since 2008. Still, divorce is about twice as common today as it was a generation ago. When it happens, divorce affects more than just the parents and the children. It also affects people like extended family, friends, neighbors, and work associates. So, directly or indirectly, divorce will touch pretty much every household in Orlando in some way. While every case is different, they all do follow roughly the same pattern. How Much Does an Orlando Divorce Cost? How much does a new car cost? How much does a new house cost? Much like there are different kinds of cars and houses, there are different kinds of divorces. There are many variables, such as the issues involved and the size of the marital estate (both debts and assets). Perhaps most importantly, there’s the other spouses level of cooperation. If the non-filing spouse signed a premarital agreement and the couple has no children, the divorce may be relatively straightforward. Regardless of how much the divorce costs, the temporary hearing may be the most critical point of a marriage dissolution proceeding, particularly if children are involved. Temporary motions have be filed prior to the parties attending trial if there are issues that arise that cannot wait until the trial. Some of these issues can include but are not limited to temporary attorneys fees, alimony, child support, timesharing or other child issues, and the division or disposing of marital assets and debts. Temporary matters hearings are very important in that they can have temporary and long term effects on the case and the parties. These hearings can sometimes help settle cases in the long term but can also cause significant changes in what the parties have been used to. In addition, although by the title itself, temporary matters are temporary, they can often give insight as to how the judge is going to rule a trial and at times what is ordered temporarily ends up being what is ordered at trial, most often the case with temporary timesharing orders. Much like the divorce may cost a little or a lot, discovery could be the shortest or longest portion of the marriage dissolution case. Discovery is the process of exchanging and finding information that is relevant to the case at hand. It includes but is not limited to taking depositions, exchanging financial information, and subpoenaing records. This process can take several weeks or several months depending on the complexity of the case and plays a major part of most litigation proceedings. As you can imagine there are cases where parties have very little and possibly no children. In those cases discovery can be little more than exchanging a few tax returns and paystubs. Most civil cases, including most divorce cases, settle out of court. Settlement usually involves either informal or formal mediation. Informal mediation is usually a series of meetings or conversations between the two attorneys. They convey settlement offers and counteroffers to their clients. If the parties reach an agreement, the judge normally approves it. Formal mediation is a compressed process. It usually takes place either at a conference room at the courthouse or at a muatually agreed on location such as one of the attorney’s offices. A third-party mediator, who is impartial to the case, is used to help the parties communicate and assists in reaching agreements on the issues in the case. Typically, mediators are also attorneys, but they are not required to be. It is important to prepare in advance of mediation and take advantage of the opportunity to settle. In most cases, by settling parties can save thousands of dollars in litigation fees and costs and from our experience it is clear that it is always best if the parties reach an agreement that they have created than having a judge telling you what to do with your kids and your stuff. Divorce is emotionally costly, and knowing what to expect reduces those costs. For a free consultation with an experienced divorce attorney in Orlando, contact Anderson & Ferrin, P.A. After-hours visits are available.